ANTHONY ANDERMAN is Advisor to DAMSON group on Law Enforcement training, Co-Founder and Chief Development & Design Officer at I2S LLC USA, and an author, speaker, and trainer. 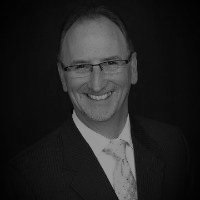 Anderman has 20 years of experience in management, leadership, and team building, and he presents keynote speeches, workshops, and seminars on the topics nationally and internationally. Anderman's accomplishments include the development of a 10-week Command College for the National Police Academy in Pakistan, and an Advanced Facilitation Course for Government of Sakhalin Island, Russia. Anthony also performed as the Lead Curriculum Developer for the DARPA 'SSIM' program designed to teach war-fighters how to gain trust and respect of the Communities in which they served. His work helped educate Marines on Basic Human dynamics skills needed to overcome social barriers, regardless of Cultural differences. Anthony earned his Bachelor of Science and Master of Science degree in Adult Education and Instructional Systems Design. Prior to his current career, he proudly served in the United States Marines. Anthony and his instructors team has a diverse and lengthy resume. The client list includes government agencies, organizations, private sector industry.